Discover the potential and impact of technology in promoting active, curious, and creative participants. Learn ways to identify structures and supports to foster new ways of teaching and learning in a single classroom, school or throughout a district. We will share our investigation of how schools, out-of-school institutions (museums, non-profit organizations), and communities changed their traditional practices and through cooperative efforts invited individuals into their spaces, or collaborated to develop joint projects. Learn about innovated systems that communities have implemented to mitigate the digital disparity between their learners and citizens, in order to provide access to resources to everyone, regardless of socioeconomics. 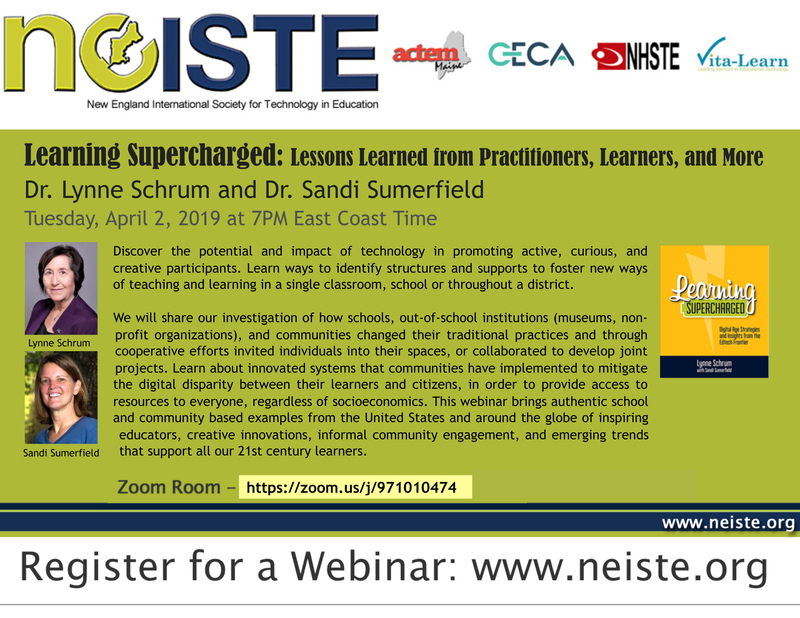 This webinar brings authentic school and community based examples from the United States and around the globe of inspiring educators, creative innovations, informal community engagement, and emerging trends that support all our 21st century learners.